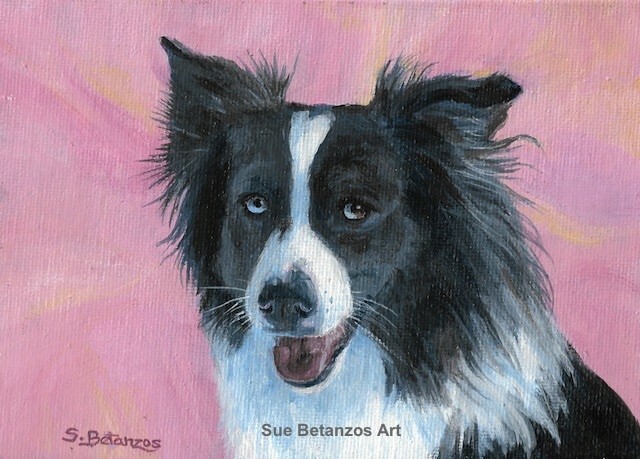 Border Collie miniature portrait is pretty in pink! A Perfect gift for Border Collie lovers and rescue groups. Painted in acrylics on acrylic canvas panel. Sweet Lucy was part of a painting demonstration at an event and is looking for her Forever Home!